Walking is good for peoples' health. Pedestrian streets enhance the feeling of safety, being car-free and full of people. Social encounters or events are easier in pedestrian streets. Less cars mean less CO2 pollution to fight climate change. Pedestrianization boosts the local economy. Pedestrian streets are less costly to maintain. Banning cars leaves a lot of free spaces to create high quality green spaces. 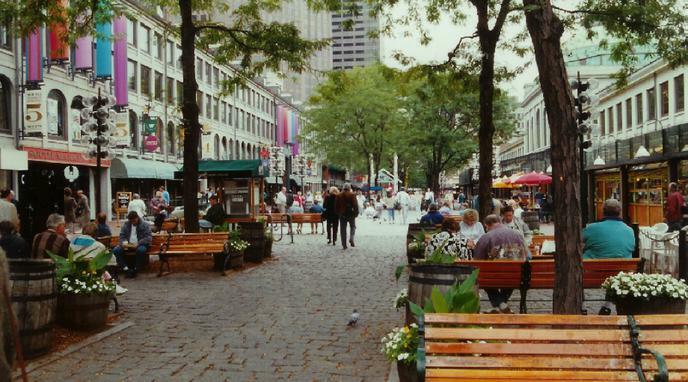 Pedestrianization is often correlated with gentrification. Banning cars from city centres will aggravate peri-urban congestion.